In the run up to the PCGamesN Awards on December 23rd – mark your diaries, people – we’ll be publishing daily staff picks of the finest games 2016 has had to offer. Today it’s Ben, whose favourite game of 2016 came out in 2004. Sounds legit. 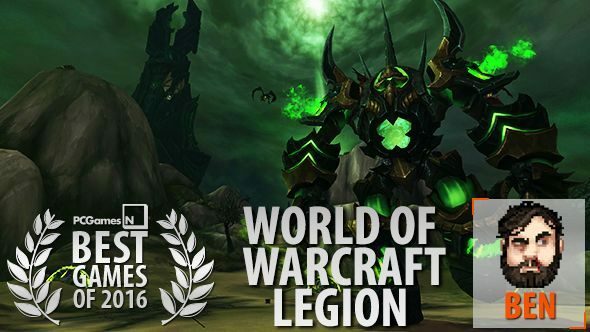 It’s in the comparisons that this year’s World of Warcraft proves its worth. 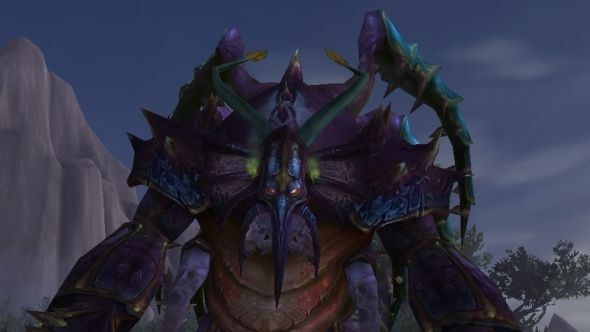 It is beyond cliché to say that Legion had a lot to prove, that Warlords of Draenor left a sour taste in the mouth of players and developers alike. The ripples of that are still being felt in everything from forum complaints to the legacy server rumblings. But it wasn’t until Legion proved how good WoW could be that I realised quite how bad Warlords was. Not your bag? Here’s the full list of what we consider the best games of 2016. I enjoyed Warlords, especially on launch. I even awarded it my game of the year in an admittedly weak 2014, still trapped in a haze of enjoyment close to launch. That faded rather quickly, though I still felt the criticisms levelled at it by the community and elsewhere were harsh. Then Legion rolled around, and it’s embarrassing how much better it is. Even in Warlords’ strong areas – its dungeons, raid design and ‘single-player’ levelling content – Legion unloads a tearful double-barrel into the older dog’s head. It’s a triumph, an extraordinary return to form, and evidence that Blizzard listen, something they are constantly having to prove to one of the most easily disgruntled communities on the planet. 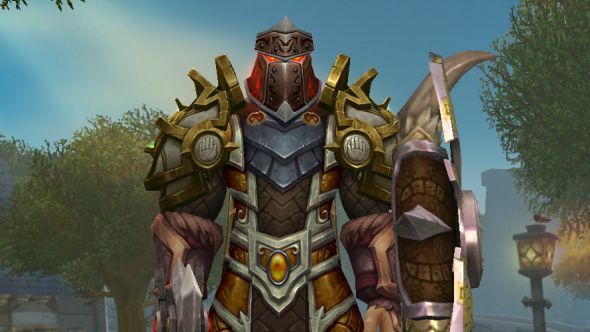 The world-spanning order hall and artifact-based quests are the most traditionally RPG the game has ever felt. The dungeon design is the game’s peak and the raids are close behind. There’s an endless flow of things to do even if you stick to just one character, there are entire extra avenues of progression there never were before thanks to new systems that will take as much time as you have. And the secrets, my word – I can and have gone on about how good a game it is for thousands of words. Those are the base facts of it, the whats and wheres, the criticism if you like. But WoW is more personal for me, which is probably why it manages to creep onto a best-of-the-year pick even arranged against such mighty competition – Titanfall 2, Overwatch, Doom to stick to just one genre – or when it maybe didn’t deserve it back in 2014. It’s why I am where I am today, in a job I quite like (don’t tell Joel), able to spend all day thinking about videogames instead of stacking shelves and selling toys. It’s shaped my speech patterns, my writing, my opinions, my music taste. It’s influenced who I’m friends with, sent me around the world on more than one occasion, become a speciality. That means that whenever I go back there’s a family waiting – a group of friends that I may not speak to as regularly as I once did, but ready to form up as a party and take on some bosses. Willing to discuss minutiae of patch notes, complain about nerfs, explain encounters and help each other through the game. This time around I brought them together with a friend group from university who also happened to play and we went raiding. Their combined interest in the game didn’t last as long as mine for this expansion, but we spent a good few weeks downing bosses, progressing through fights, cheering for kills and legendary loot, getting far too angry at wipes and complications. That’s something no other game can give, and likely never will. Legion did it better than WoW ever has for me, and kept me interested and invested for the longest amount of time since the vanilla days. My playtime at the new max level alone – edging on 400 hours at last count – probably means I’d never admit it wasn’t the best use of time imaginable out of sunk cost alone, but you’ll have to take my word that I enjoyed it. Bombarded by the amazing release list of this year, I’ve edged away from the get home -> login -> sleep cycle I was on for a couple of months, but unlike previous years, I don’t see myself stopping entirely. There’s too much interesting stuff to do – properly interesting, not busywork, but storylined quests and unique content – to not keep popping in regularly to see what’s new. That’s thanks to the question I was left with in my review, which was what would Blizzard do next. Across this and the similarly potential-filled Overwatch, the answer was nail it. They’ve patched faster, reacted quicker, explained better and been smarter than ever before and they’re still improving, buoyed by harsher competition for player time than there has ever been, even just from their own games. WoW is my game. Whenever I need something familiar it provides interesting surprises, and whenever I need to sink my teeth into a new challenge it has a decade-old community ready to explain it. Legion is the best it has ever been, and that’s why it’s my game of the year.